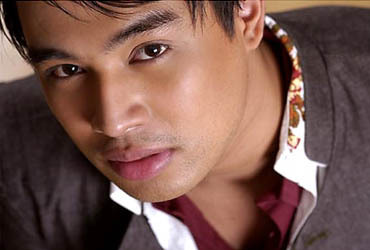 It’s another one big accomplishment for Kapamilya Jed Madela has made because he was selected to be part of the Hall of Fame of World Championships of the Perfoming Arts (WCOPA) this coming July 2013 in Hollywood. “Sa July we’re going back to Hollywood. In-invite nila ako ulit to grace the 17th World Championships of the Performing Arts,” said Jed when he was interviewed. “Sa mga ‘di nakakaalam, dun po ako sumali nung 2005. Dun ako sumali at nanalo.” He was the first Filipino who won the world champion title in WCOPA. “And this year, they invited me to receive an award. They’re giving me a Hall of Famer award sa (WCOPA) and ‘yung mga binibigyan nila ng award dito ay ‘yung mga tao who made a big impact in the industry where they’re in,” proudly said the singer. It could not be denied that the recognition got by Jed is our pride because aside from the singer, the same category of award will be given to the Hollywood icons such as the singer-actress Liza Minnelli, singer Jennifer Holiday, and the action superstar Arnold Schwarzenegger. Jed said it’s a humbling experience for him. The singer has been telephoned last December, at first he thought it was just a joke. “Sobrang kinilabutan ako kasi unang-unang pumasok sa isip ko pag nawala na ako, at least nakaukit ang pangalan ko d’yan… forever na,” he happily said. “Pag wala na ako sa industriya… it depends… hindi natin alam… at least andyan na ang pangalan ko. It will be forever in the book and ‘yun ‘yung una kong naisip.” He added. Jed’s induction will be held during the WCOPA competition this year wherein Philippines has several representatives on the said prestigious competition. “Medyo malaki ‘yung team ng Philippines this year na pupunta sa World Championships. So aside from that award, excited ako sa team natin kasi ang daming magagaling this year,” he pressed. Madela will be the very first Filipino to be recognized on Hall of Face of WCOPA. “I think I’m the first Filipino, but I’m not sure if I’m the youngest. I’m the first Filipino na unang contestant ng World Championship na in-induct nila do’n. he said. Jed discloses that he had just finished his upcoming album which has all original songs. “It’s called Jed Madela: All Originals. First album with Star Records and I’m so happy [because] finally I get to sing all original brand new songs.” He said. The singer is also hoping to try doing other music genre in his new album. He was labeled as a ballader and sings high notes. “Lahat ng songs may potential maging single. It’s a new sound for me. Pag sinabing Jed Madela ang unang papasok sa isip ng tao, ballad tsaka birit,” he said. He admitted that in his new album he will also prove that Filipino composers are also great in composing songs such as classic, R&B, and upbeat but proudly pinoy.